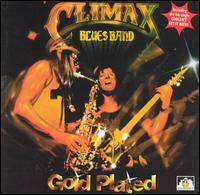 One would think the Climax Blues Band, formerly know as the Climax Chicago Blues Band, might be from Chicago. Well, they aren't. They're not from Joliet. They're not from Elgin. They're not even from Skokie! They're from Stafford, England! This is one of my all-time favorite cowbell songs. The cowbell just doesn't stop. Not even once. Listening to the song, you can tell it's simple, but that's what makes it so good. It's a simple, straight forward rock song with a good bass line and a nice hook. And sometimes that's all that's needed.